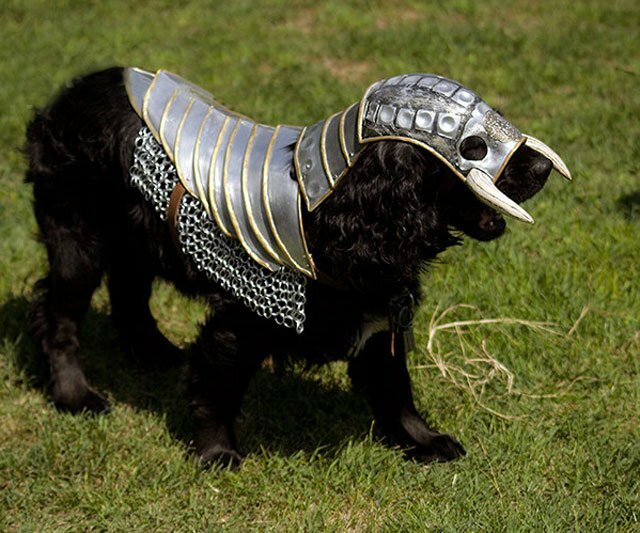 Your canine ca-knight in shining armor has arrived! 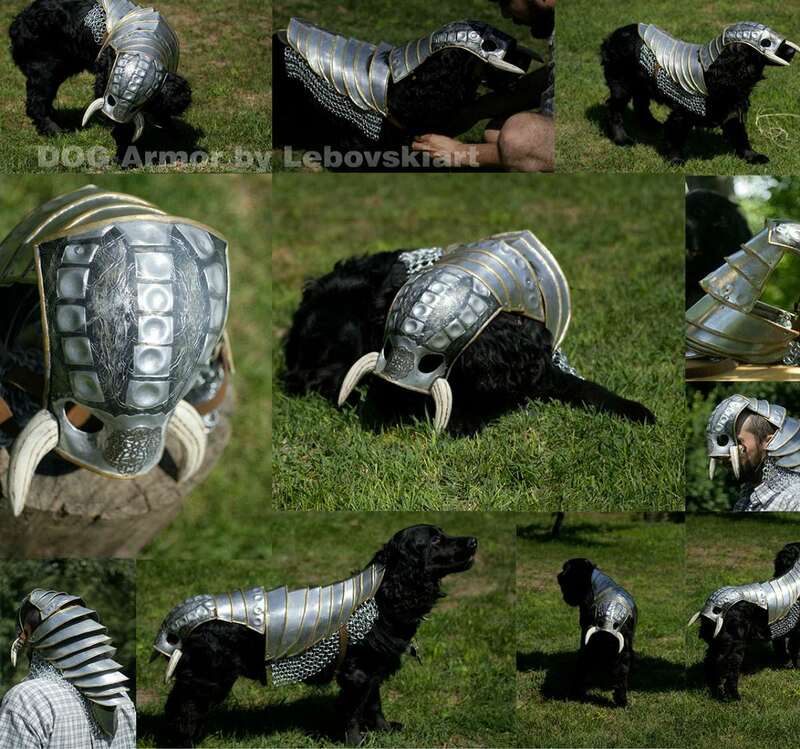 With one caveat: Lebovskiart, the Bulgarian designer of the shining armor, reports that his dog "does not like very much these strange clothes." But for him at least, "it is big fun indeed!" Cosplayers, halloween enthusiasts, and people who just like dressing up their dogs will probably agree. 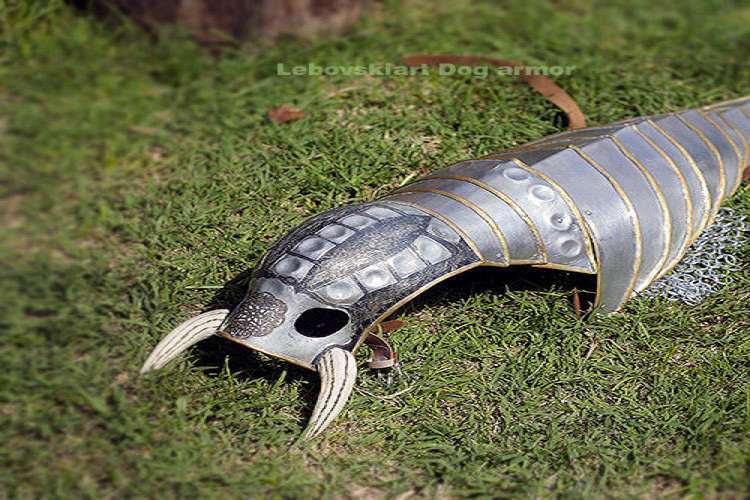 You can get in on the Big Fun through Lebovskiart's Etsy store, where the artist makes each set of dog armor, complete with its sweeeeet warthog tusks, by hand to order. The suit is aluminum, with touches of wood, real leather, black paint, and varnish. The pictured set of canine armor will fit most 45-poundish dogs. Lebovskiart's model is a cocker spaniel. 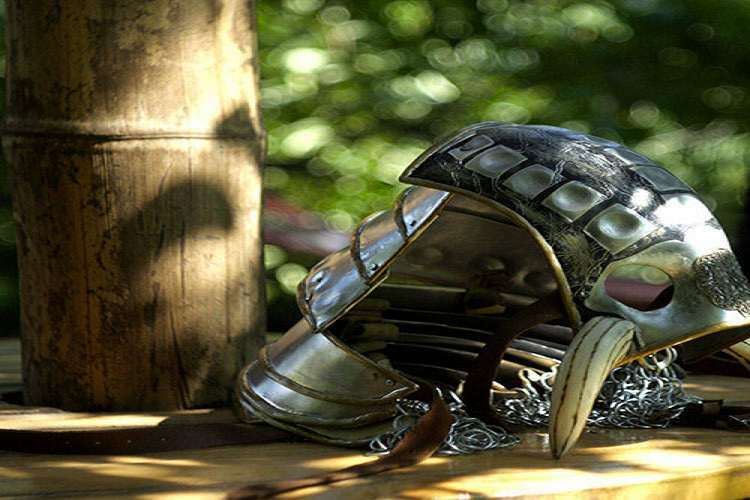 If you have a bigger or smaller dog you want to antagonize, or if you want a different style of armor, he'll fashion your 4-legged knight's gear as a custom order according to your specified measurements and requests.